Ogden on Politics: Indiana Governor Has Weakest Veto Power of Fifty States; Is It Time to Amend the Constitution to Give the Governor More Power? Indiana Governor Has Weakest Veto Power of Fifty States; Is It Time to Amend the Constitution to Give the Governor More Power? News out of North Carolina is that the North Carolina House has overridden the Governor's veto on the bill defunding Planned Parenthood. A veto from a North Carolina Governor is noteworthy because for about the first 200 years, that state's governor had no veto at all. That finally changed in 1996 when that state's executive finally received a veto, which came with a 3/5 override provision. weakest veto in the nation. With North Carolina adopting the veto, which state's governor has the weakest veto? That would be Indiana. Indiana gives its Governor the weakest veto of any state executive in the country. Let's look at two factors that make a veto strong: supermajority override provisions and whether the governor can veto part of a taxing and spending bill without vetoing the whole thing, the so called "line item' veto. Forty-five states require supermajorities to override a gubernatorial veto. Five states only require a majority legislative vote to override a veto, which of course is what it takes to pass the bill in the first place. Those states are: Alabama, Kentucky, Tennessee, Arkansas and Indiana. Forty-four governors have the line item veto. The six states that don't give their governors line item veto power are Nevada, New Hampshire, North Carolina, Rhode Island, Vermont and Indiana. In Indiana , the legislature is king and usually the Governor is usually at the mercy of the General Assembly. 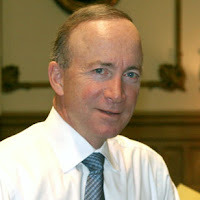 While Governor Daniels has done remarkably dealing with the legislature given his extremely weak veto power, is it really good government to leave the governor virtually powerless to put the brakes on a runaway legislature? The decision to grant Indiana's governor a weak veto was reflected in the 1851 Constitution, a document now 160 years old. Maybe it is time to revisit that decision. Better yet, how about we do away with three branches of government? If we're going to revise the Constitution, let's take a larger look and see whether we need one, at all. By the way, 160 years isn't that long. Be careful when you claim that it is, because Jefferson's Bill of Rights is a fair bit older and is the only decent piece of federal legislation ever enacted. Jefferson was someone who insisted that the Constitution be revisited every decade or so for the purpose of amending. In fact, most of the Founding Fathers thought the Constitution would be amended much more often than has turned out to be the case. Has it made the governments of the other 49 states fiscally responsible? No. This sort of fiddle does little good in a country of profligate spenders.